Should you change your skincare line? - Spa Advisors, Inc.
Should you change your skincare line? So you are thinking about making a change! Leaving one skincare line for another can be a huge step. You are likely wondering whether you have considered everything necessary to make an informed decision. If you are very loyal to your suppliers, you may be feeling guilty or apprehensive about taking a leap into the unknown. Should you stay with the company that you know or, opt for some adventure and take a chance on the unknown? Have you done your homework? Changing lines is expensive, time-consuming and likely requires retooling of a menu, pricing, product assortments and more. The more you know, the more research you perform, the more you familiarize yourself with your competitors, research which product lines are out there, develop your long-term plan and determine which of the many, many product line(s) marry up best, the more comfortable you will be with your decision. Remember, the larger the facility, the more difficult any change can be. The next pages will enlighten you, stimulate thought, encourage you to take a long look at your existing business and, determine where you want your skincare business to be in six months, one and two years down the road. Do you want to venture into other categories not currently covered? If you are reading this article, you are likely contemplating a change. Why do spas change product lines? Do you feel a change in skincare lines might revitalize your skincare business? Do you feel changing lines will correct issues within the facility? Do you feel this line of products and their corresponding services are priced appropriately for your market? Too high? Too low? Does this vendor limit the number of facilities carrying the line in your region? Do you sit down for a Business Planning and Development Meeting with this line’s Sales Representative and Regional or National Sales Manager at least one time per year? Are they aware of the issues you may have with their product line? Have you added new services or new products developed by this vendor in the eighteen (18) months? Have you had complaints from customers and/or staff relating to quality, efficacy, or results relating to this product line? Explain. Do you feel this skincare line is keeping up with the market changes? Is their science sound? Have they or, are they in the process of, removing harmful ingredients from their products? Do you feel you have the background and expertise, knowledge and capital to launch a private label product line to replace one or more existing brands? Is brand recognition important to your client base and to your staff? Have staff members or clients voiced concerns over ingredients contained in this product line? Have staff members or clients voiced their opinions relating to the need for additional treatments and products based on trends they have seen or heard about? Have you made a liquidation plan for your current stock in the event you change lines? If yes, what? Have you begun the research process for an alternative line? If so, how many are under consideration? Have the vendors sent your products to try or, arranged a demonstration for you and/or your staff? Have you attended National or regional trades hows to see what products might be a good fit? Have you sat down with the Sales Representative and National or Regional Sales Manager for each line to see what their companies offer? Have you done a competitive analysis recently? If no, you must list every competitor in a five or ten-mile radius (day spas, salons and medical spas). You should have a copy of their menu and pricing and know what product lines they carry? Can your skincare line be found on discount on-line websites for substantially less than what it is sold for at your facility? Do discount on-line websites hinder retail sales of this product line in your facility? Does your current skincare line offer training classes either on-line or in person to your staff? Does your current skincare line send samples of new products at no charge to technicians and owner to try? Does your current skincare line list you as an authorized dealer for their product? If yes, do you derive additional business through this exposure? Have you thought about how you will communicate the change to clients loyal to that brand? Formulate a plan. Do you have regular clients (appointments at least four to six times per year) that may be disappointed in a change or, perhaps move elsewhere? Do you have a comprehensive database with email addresses, cell phone numbers, and addresses for all or most esthetic clients? Do you market to them using this vehicle? Do you have a web page and a Facebook page for your facility? Do you use them to market new services and products? Do you use Constant Contact or have another means to email clients? Has shipping from this vendor been inconsistent? Continual out-of-stock issues? Does your vendor assist with the liquidation of aged, re-packaged, or discontinued products? If no, how much of your inventory is represented in these categories? Have you evaluated your service sales? What services should stay, which should be 35 replaced, what new services should be added? Should your staff be involved in the selection process? There is not a yes or no answer to this question. The decision to involve staff is an important part of the process and depends on the situation. Sometimes a decision such as this can cause unrest if not done properly. In a larger chain, it is unlikely more than a few staff members will be involved in the process. In a small facility with few technicians, input from them will be more critical to an informed decision. Making informed decisions as a team works best overall as long as everyone understands the rules and the process. Make sure you define the process and expectations clearly and well in advance. As a manager, you must understand that everyone will have an opinion and often there will not be a consensus. More often than not, staff members are not familiar with everything available to them. Let your staff know you are considering a line change and that you would like input from them over the next weeks. Be prepared in the event you staff is not receptive to the idea. Determine in advance how many individuals you want to assist in the decision. You may choose to have only one or two represent the group. Consider not only their technical skills but also their ability to sell product. Have a meeting to define the guidelines clearly and understand the process. Make sure they understand there are many factors involved in the decision from a business and financial standpoint. Make sure each person selected is committed and will put adequate time and thought into the process. They must remain open-minded and ready to learn new things. Set a deadline for the final decision. Prepare worksheets with criteria to evaluate all elements involved in the decision-making process. against theirs, make a determination of the three to six finalists. Make them aware of all elements that go into the final decision. Make sure the staff understands the decision is yours; however, their input is critical to the equation. Listen to their thoughts and concerns. They will think of things you have not. Begin vendor communication. Contact each line and set up staff demos if possible or, time your change around the time of a large skincare show. These allow technicians to ask questions and experience the products. Often skincare shows are an excellent way to experience new products and product lines, but many of the biggest and best do not attend smaller or regional shows. Not all vendors will be able to answer all questions, nor will all apply. Do your homework. Remember, they do this every day. You do it occasionally. They will have the answers you need and most gladly provide them. Remember, a vendor is a partner. You are partners in success. How long has this brand been in business? Do they have other brands within the spa arena? What type of research and development facilities do they use? Do they develop their own products or place their own label on items developed by others? Does the brand have international distribution? What type of support staff will be available if we move? Whom do they view as their competitors in the industry? What salons, day spas, resort and medical spas carry their products in your area? How would they class themselves within the industry? How do they set themselves apart from the competitors? How does their technology differ from their competitors? Are they willing to limit distribution of their products in your area or create an “exclusive” arrangement for your facility? What lines do they find complimentary to theirs? Do they supply a cost of goods analysis for all of their recommended services? Pricing: Regular salon pricing (50% off retail) is standard. Are additional discounts or distributor pricing arrangements available? Do they have programs in place to analyze performance of their brand within the salon or spa? What programs? Are they willing to purchase the existing product line, dollar for dollar, in order to install theirs? If not, what can they do to assist in the liquidation process? How? Will they allow terms of Net 30 or better on monthly orders? Most vendors have a pool of funds made available to a facility based on purchases. How do they normally allocate those funds? Do they allow you to select how you wish to receive your incentives? Once you have received the written offer, how does it compare with your skincare line and others in contention? What type of consumer marketing is used by this brand? Ask for a copy of their yearly marketing calendar. How do they normally launch new products or new services? What types of collateral materials are available? Is there a charge for these items? Does their Facebook page or web page have a place for customers to seek out salons and spas carrying their products? Do you feel any of their marketing and collateral materials can be used in your facility? Whom does this vendor see as their target demographic? Does that demographic mirror yours? Are they willing to do special events to introduce the line to key guests within the facility? Does this vendor distribute via infomercials, Beauty Brands, Ulta, and Sephora? Do they have freestanding locations or, do they intend to have them? Is on-site training available from this vendor? If so, for service? For retail? Will they train customized protocols? How much education will be provided yearly? When? Where? What educational events does this vendor sponsor? Do staff members have access to on-line, web and Skype trainings put on by the vendor? Is there a charge for education? Is retail selling incorporated into all trainings? What types of training programs are available if the line is brought in? Will an educator come on site for training? On-line education? No education? Do they have training manuals and protocols available for their services that can be customized by location? Have the vendor supply a list of ingredients for each product. Are Material Safety Data Sheets available for the products? What sets their products apart from their competitors? Where are their products manufactured? Where do the ingredients come from? Do they have the ability to adjust stocks, trade out slow sellers, etc.? Can testers be provided no charge three times per year? Can technicians be supplied complimentary full size product for every new product launch introduced into the facility? In order to avoid carrying the entire line, many vendors will ship slower selling, more specialty items directly to the consumer and bill the salon? Does this vendor have that ability? How do price points compare to the line you will replace? Higher? Lower? About the same? Is this line easier to recommend to clients and, is the guest more apt to purchase this line? Can the vendor provide you with a list of their top twenty items per category? Their top twenty items overall? Does the vendor take back open products returned by the client for reasons of allergies or other health-related concerns? What is your opinion of their packaging? Well-done and unique or generic? Uniform in appearance or in the middle of repackaging? Easy to read and identify? Are all products boxed? Are the bottle and jars enclosed equal in looks and appeal? How would you class the line? Sea-based, Aromatherapy, Cosmeceutical, Certified Organic or Clean ingredients, Item-driven scientific. Is there additional technology that must be purchased in order for the services to be performed and the results achievable? For example, Intraceuticals requires an oxygen generator for the administration of products. Do new services have a quality and end result that will allow for a higher price? Do you feel you have a strong relationship with this vendor? Will they follow through on their arrangements? Did you ask them to supply a written overview of the arrangement so there are no questions or gray areas in the future? Have you called other salons and spas carrying their products in other parts of the country to see what they like, do not like about the line? How often will a representative service your account? needs and is priced appropriately for the guests? Does the vendor reserve the right to drop the account at any time, for any reason or, no reason? How should problems be communicated to the vendor? Will it be worth the effort to make the change? There are hundreds of skincare lines available to consumers. They range from mass market, opening price point products available at drug stores and bargain chains to high-end “couture” skincare with prices comparable to those of precious metals’ equivalent in weight and, everything between the two extremes. There are many amazing skincare lines on the market exclusively distributed to spas. The perfect line for your facility is out there. You must figure out what fits best into your facility for your clients, their budgets, and their needs. Remember, the decisions you make are for the guests and not for yourself. Choose a line with an image, price points, story, and philosophy amiable to your clients. Image is important. Making sure the line is equal to or greater in reputation is so important. Make sure the lines you review will work well with your brand. Do you feel the brand’s image is equal to yours? Think about how this brand works not just today but with your plans one-year down the road. Do the math. In order to make an informed decision, you must take into account every element that can affect profitability. Current costs and future costs are extremely important to the equation. How do service product costs compare for professional sizes? Do they have a number of sizes of professional products available so small facilities do not have to purchase larger-than-required containers? Do they require fewer items in their services? How many items are needed for a basic service? A specialty service? Did you check the vendor’s math? For example, if you know one ounce of cleanser is normally used during a facial, their professional size is 32 oz. and they say 64 services can be completed with one bottle, their costs are likely off. Did you add extra in for waste, over-use, etc.? Did you add in cotton products, specialty sponges and other required items into your calculation when calculating the cost of goods for these services? If the prices are substantially higher, meaning a higher cost of goods and higher service prices, is the end- result better? Will the higher be justified in the client’s eyes? If the prices are substantially lower, do you feel the quality of product will meet your clients’ expectations. Would you lower your service price? The disposition of existing stock is one of the biggest considerations an owner faces. How will the new vendor assist in this process? Does the vendor require representation of the entire line? If the cost of goods for each service will be substantially higher, how will you offset these expenses? Higher service prices? Lower commission rates? Will the vendor ship retail items directly to the customer or allow special orders to avoid carrying every retail item in their line? Many vendors now ship direct to a customer and charge the spa a higher cost of goods for this service. Are fewer items required for services? Does this make a difference in the costs? You will find that very few items and very few services represent a disproportionally large portion of your sales. 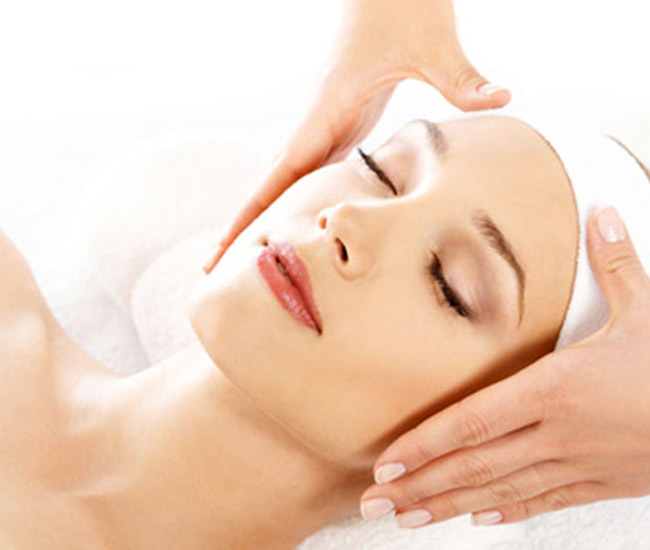 For example, in most spas, their basic deep cleansing facial is normally their best seller. This is true for a number of reason ranging from price to its appropriateness for the most individuals. Look at the number of items on the report. For the purpose of this piece, we will use 400 as the total number of retail items. If you look at your top 80 items, it is likely they represent very close to 80% of your business while the other 320 items represent only 20% of your sales. Do the same thing with services. Again, run the reports. If you have 100 services including all wax services, facials and other related services, you will find the same holds true. Twenty of those items will represent very close to 80% of the total sales. Everyone’s first instinct: I only want to carry the top twenty percent! Use this information when formulating orders, reordering and when launching a new line. Likely, there will not be much difference. Often times higher vendor minimums and case, packs create some of these problems but not all of them. This exercise will make you a much smarter operator. Your product mix-Can you anticipate every need? When you are evaluating each new line along with your current line, how many specialty items occupy your bottom 80%. Most salons and spas have this issue simply because instinct is to make sure we have whatever is required to make the guest happy and sell product. This is great in theory but can tie up many dollars in inventory that may not perform as expected. Look at the services that drive your business. Review your assortment. You will find the basic opening price-point service may be the best performing but others may be close in importance. For example, anti-aging facials and facials that focus on hydration may perform better than one for acne, problem skin, rosacea, and other conditions. Look at the skincare products that drive your business. Are they cleansers, moisturizers, serums, eye products, sunscreens? In each of these product types, what are best performers? Next, look at your potential new vendors top twenty percent. How do these relate to your product types? Can you use their information to make informed decisions regarding your new assortment? After your technicians have been trained and understand the products, find out which products they will recommend. This is so important. You will find most recommend a very small percentage of a product line, even though so much may be available. Look at each of the following categories to make sure you have these categories covered first, and then add additional items. Toners: One or two. Are they also makeup removers? Moisturizers: One to four based on skin. Make sure to have at least one that includes a sunscreen. Serums: Usually underperforming in spas, as these are normally expensive, not well understood and are layered under products. Special order these items to avoid slow selling stock. Sunscreen: Something everyone should use but likely does not. Make sure you have a moisturizer and a lotion with sunscreen. Limit the number of SKU’s here. Two SPF’s for face, one SPF for body. After you have made sure you will cover eighty percent of your existing sales, layer in additional items the staff feels will be key. You may also choose to carry kits if available for conditions such as acne, hyperpigmentation and more. These are normally more reasonably priced and do not force you into five or more items in a category that represents a small portion of your business. Do not assume you can cover every guest’s individual requirements and do not try. When you are evaluating your services, look for information that will guide you in product and service choice. No one wants to miss sales because they do not have that one item a particular guest needs. If the sale is lost because you ran out of stock, shame on you. If the sale is lost because they require a specialty item you do not carry on a regular basis, make concessions for those “one-offs” in advance. Many vendors allow you to call in orders to be shipped directly to customers or, you can special order the items from the vendor and deliver it to them. Should you carry more than one line? Chances are you may. There is no ideal number of lines to remain profitable. Every item on the shelf represents dollars that are not in the bank. Keeping your stocks turning three or more times per year is an important consideration. Each line is likely to decrease your stock turns considerably. Different technologies and results attract different users. Here is a good rule of thumb when deciding on the correct number for you. Select your main product line. This line should be diverse, have strong products, brand recognition, capable of covering most professional skincare uses and has strong complimentary retail products. This line should have strong basics, quality ingredients, and price points in line with your market. Adding a second line. Will the addition of another line increase business or cannibalize sales? Will the new line attract a different clientele? If a new line will allow you to layer on an additional business, definitely consider a second. If it does not, you may not want to make the investment. Adding items. It is likely one of the most cost effective ways of adding to your assortment. Some lines allow you to cherry pick your assortment, while other will not. This is one of the most cost effective mean of getting key items into the facility without the expense of launching a full line. Replacing an existing skincare line with a new line can adversely affect retail sales. It can also give them the boost they need to get back on track. Doing everything you can to make sure the transition is easy will pay off. Will you see a drop off in retail sales? It is a possibility. Making changes to a regimen that works will be difficult for some clients. Everything you can do to make the transition easier will pay off. Here are some suggestions to avoid a sales dip. Launch everything at once: New services and new products. Make sure you have evaluated every item in the current assortment and replace those that perform in the top 70% to 80%. Launch the new line with a special event. Make it a big deal! Make it exciting! Put the new product front and forward! Make sure the customers feel the excitement. You have likely discovered that about 20% of your customers purchase 80% of the skincare sold in your old line. Work with your staff to identify these guests, invite them in to try a new service and determine their new regimen in advance. Launch the new line with service and retail sales goals for each technician. Most individuals perform best when they know exactly what is expected. Check their sales weekly to see how they are trending. Use the launch to establish or reestablish better practices relating to retail and rebooking. This is something that needs reinforcement on a regular basis. Do a social media blast announcing the launch of new services and new products. Do a section on your web page about the new line, features and benefits, etc. Highlight a different one every week. Cleanser, their new product would be Line B Foaming Gel Cleanser. Check sales daily. Try not to run out of stock but do not feel you must own large quantities of each. Have a “Product of the week” within the facility. Make sure it is available to sample and displayed in an area visible to all guests. By deeply educating your staff on a different key item each week, within a few months their grasp of the line and their ability to recommend the correct products will improve. If you are not adverse to occasional discounts, create gift certificates or coupons, given to the customer by their technician, allowing them to try the new product at a discounted price. Have samples available if guests are having a difficult time with a change. Use samples to allow them to try an additional product in addition to the ones purchased. Use prescription forms and product recommendation forms. Keep a record of the recommendation and follow up with guest in a week to see how the new skincare is performing. Compare sales at the end of every month. How is the new line trending against the old line? Check with the staff daily during the transition to see if there are issues that need clarification, additional products that should be added, etc. You cannot put too much effort into preparation. Anticipating obstacles and unknowns will all lead to stronger sales. Develop an email campaign to engage your current clients. Give them an incentive to try the new products. If you have kept your database current, this should be easy. Capitalize on Social Media. If you focused efforts in the growth of Facebook and Twitter within your facility, chances are you have established a substantial following. Create an Evite and invite current clients to experience the products once launched. Make sure clients who participate in the launch events and come in for an open house or launch party, with a small goodie bag of samples and a certificate towards a service or product. If you have a frequent shopper program, incent clients with double points on the new line for a short time. Utilize Facebook posts to communicate information about the products and special events. Create a contest for existing and new clients on Facebook that rewards a few winners with products or complimentary services. Invite key clients in personally to try the new products and services. Print media can be effective but is can be pricy. Make sure you have a strong message that will entice potential clients. As you planned this venture together, you should also evaluate the successes and disappointments with them on a monthly basis. Run sales by item for retail and share this information. Evaluating sales together allows you both to spot trends, strengths, and weaknesses. Remember, they have access to information from across the country while you may only have access to your small area. Take advantage of their expertise and successes they have witnessed in other markets.